This is the trailer for Shin Megami Tensei V, an upcoming game in the long running series of Japanese role playing games often known as SMT for short. The release of the trailer is pretty exciting; this year marks the 25th anniversary of the series. It’s also one of my favorite video game series, and it’s real weird. What are the games in the SMT series like? Well, they’re sort of like Pokémon. You run around in dungeons and capture monsters, which you then force to fight other monsters. But instead of adorable little electric rats and weird dinosaurs, you’re fighting mythological figures cribbed from religions and folk traditions from across the globe. In fact, SMT predates Pokemon by about a decade, but it remains a pretty niche series, and it’s clear why. While the Pokemon games are fun, cute and accessible, the SMT games can often be unforgivingly hard, and layer on the obscure mythological references thick. …What? Now maybe the interview was poorly translated into English, but “miracle of God?” How do you get there from Shekinah Glory? It’s a nonsensical combo of the Hebrew word for the feminine, divine presence of God and the english word “glory.” Searching that phrase does yield a couple evangelical Christian sites, and a Chicago based gospel band, but that’s it. They may have been going for the (much less awkward) phrase “Kavod Ha Shekhinah,” which means the Glory of the Shekhinah, but that’s got nothing to do with miracles. It’s possible that the awkward turn of phrase is the result of a poor translation, but it’s representative of how the series tends to tackle Judaism in general. Abrahamic religion forms the core mythology of the series, but more specifically, the creators are really into gnosticism. If I had to oversimplify it, gnosticism is an anti-materialist religious movement that spun off of Judaism in the 2nd Century CE. According to the gnostics, the source of evil in the world is that the divine spark of God is trapped within the material world, which is a crappy place. And the reason everything is so crappy is that the god who created the material world is actually a jerk named the Demiurge, who trapped the endless light of God in a material prison. The Megami Tensei series collapses this idea into Kabbalah. The result is a series of games where you can team up with Lucifer, who is actually a pretty cool dude, and beat up God, while random Kabbalistic imagery sort of floats around in the background. 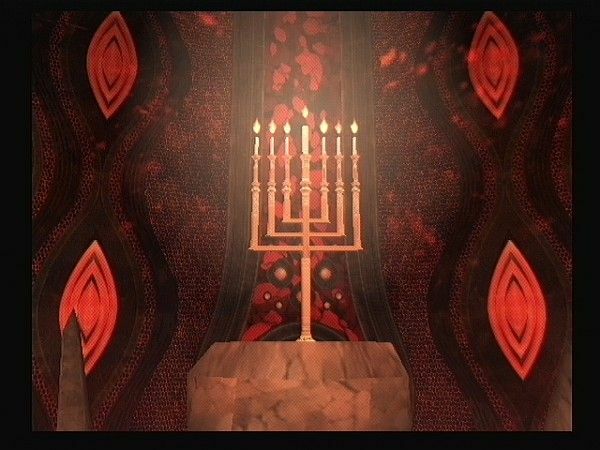 Of course, the SMT games are far from the only pieces of Japanese media to try and appropriate foreign culture, often Judaism. 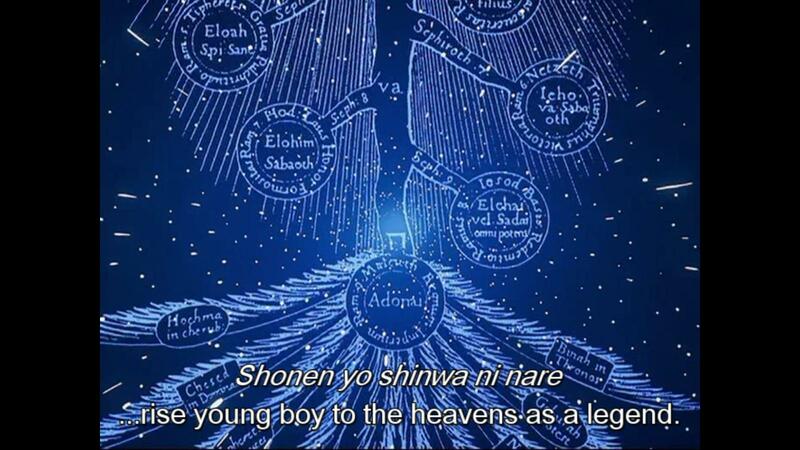 It’s not unusual to see bits of Hebrew floating around in an anime because it appears exotic and meaningful. In fact, Jewish mysticism has a special (awkward) place in Japanese games, anime, et cetera. For example, Final Fantasy VII is one of the most famous Japanese RPGs ever made, and its main villain is name Sephiroth. Is there any explanation why this character is named after the Kabbalistic concept of the emanations of God? Not in the game, and while fans have tried their darndest to create some sort of meaning in it, they tend to be pretty weak tea. Honestly, as far as the SMT games are concerned, I love them not despite this weird hodgepodge of religious imagery, but in part because of it. The creators throw so many concepts at the wall, and if for no other reason, at least some of them stick. And more importantly, these concepts are implemented in a way that makes the misses way more amusing. One of my favorite things about the games is that the man who designed the demons, an artist named Kazuma Kaneko, smashed together his love of high fashion with whatever he understood about the figures he was depicting to create some fascinating designs, some of which may seem familiar. Hey! That second one isn’t even a terrible understanding of what a Dybbuk is, though I guess Kaneko thought that shtreimels as a choice of headwear don’t match his standards of haute couture. When somebody (say, Japanese video game developers) tries to depict a culture or tradition that they aren’t familiar with (say, Jewish mysticism), they tend to try and cram it into the framework of whatever they’re making. The creators take these Jewish concepts and filter them through their own perspectives, adding in their own cultural context and also their weird idiosyncrasies. The result is a series of games that often reveal a lot more about the game designers than they do about Judaism. It’s also completely bonkers, and a lot of fun. Their name in the original game? “Menorah,” written out in Japanese characters. Gotta love that. Images via the Megami Tensei Wiki.